It's not every day that Philippe Garrel is available for an interview. According to his publicist, it had been over a decade since the French director was in New York to support one of his films. So when he traveled along with his new film, In the Shadow of Women, to the New York Film Festival in October 2015, we jumped at the chance to secure a Reverse Shot interview. But there was a catch: Garrel would only do one interview, so it would have to be a group discussion including other journalists. This was less than ideal. Except there was a catch to the catch: Garrel wouldn't talk for less than three hours. In other words, yes we'd have to share, but we'd also get to spend half a day with him, digging far deeper into his half-century career than we otherwise would. It helped in the end that I shared the time with two knowledgeable and formidable colleagues: Vadim Rizov of Filmmaker and Darren Hughes of Mubi. It also helped to have Nicholas Elliott, a translator up to the Herculean task of not just flawlessly conveying Garrel's extended monlogues but doing so with accompanying flair and dramatic inflection. Garrel himself seemed mesmerized by this, which perhaps helped him to go with things so freely over the course of those three hours, visiting upon his early and recent career, directing and acting and teaching, his methods and ideas, his family and collaborators, and as you'll see below, his continued love for and scholarship of the work of Jean-Luc Godard, whom he still considers a mentor. Because I had the great fortune of speaking to Garrel by phone a year and a half prior, for the New York Times, he began the session by addressing his answers directly to me, which was somewhat flattering but mostly terrifying, since I could only track about 30% of what he was saying due to my limited French, and since three hours is a long time to answer the intense gaze of Philippe Garrel. Luckily, he would eventually lock eyes with all three of us over the course of the interview. Our solution for presenting this conversation was to transcribe, lightly edit, and serialize it among our three publications, culminating in this last section of the Q&A in Reverse Shot. Part one can be found at Filmmaker; part two is at Mubi. Read part three below. Eric Hynes: I don’t usually think of your films in terms of genre. I think of you as coming out of the avant-garde but continually working towards your own vocabulary. But with In the Shadow of Women, you do seem to be in dialogue with comedy. How deliberate were you in bringing in those elements, and how willing were you to go into that area? 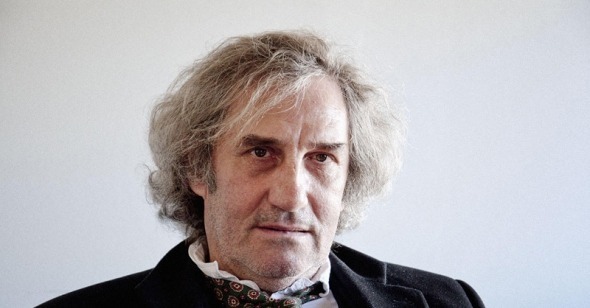 Philippe Garrel: It’s true what you say, but it was not on purpose. In France, when I saw the audience laughing at the movie, they were laughing at it as if it were a comedy, as if I had told it with humor. It was absolutely not on purpose. I did it without humor. What’s possible, however, is that it’s due to the fact that it’s the first time I’ve worked with Jean-Claude Carrière. When I said to Jean-Claude, “Everyone is laughing in the audience,” Carrière said, “Yeah, Philippe. That’s me!” When Godard decided to make industrial cinema again in 1979, I observed that he worked with his wife, Anne-Marie Miéville, and he worked with Carrière, who as you know had written for Luis Buñuel and worked with Godard on two films, Every Man for Himself and Passion. The importance is not that I’m avant-garde or a modernist; what’s important is that we say, “It’s cinema,” the way that we can say, “It’s a painting” when we look at a painting. Now, in the modernists that I like—Picasso and Matisse and Max Ernst—you have a figure, sometimes it’s Cubist, it’s de-structured, interpreted, but underneath it you see the classic drawing, you see the construction of the human body. That’s the modernism I like in painting, because the two forms of art I like are cinema and painting. What I’m looking for is how to be modernist in a profound way. But you also have to be classic in a narrative sense. You can’t, with cinema, put the book down and do something else or look at another painting. Only cinema and theater have this thing of imposed time where the viewer must accept to be a prisoner. So, what I wanted to do was be like a painter, to have a classic design underneath (which Picasso could do very well because he was a master draftsman) and on top to deconstruct. I thought Carrière was the ideal person for this because what he had done for Every Man for Himself. What I wanted, in a sense, was a classic script and to do a modern mise-en-scène. What you see with Godard—and he’s the only one who does this, and this is why he’s so much better than me—is that ten years later, after the movie, you see that he was telling the story. But because of his modern mise-en-scène, the story wasn’t exposed. It appears over time. And in that way he’s like Picasso, or Einstein. Because he’s searching, he’s searching and he finds. For instance, take Nouvelle vague. I had to see it four times to understand the story. People walk out of Godard movies because they say there’s no story, there’s no logic. But there is a story. It’s just exposed differently. For instance, in a classic film you’ll have an actor who says, “I’m the President of the United States.” In a Godard film, you’ll have an actor saying nothing, and you’ll have a voice coming in from somewhere saying, “Mr. President, do you want a glass of water?” That’s his method of exposition. It’s hard to understand. And you need to understand that logic to be moved by the movie. But with time and maybe one sentence in the program, these movies can touch people. Slowly we’re catching up. If we take the example of Nouvelle vague—which was shown in competition in Cannes because Alain Delon was in it—there were many, many walkouts. Which is what happened to Chantal Akerman’s film, No Home Movie, in Locarno. Godard was used to this kind of treatment. When I took Godard as a master when I was 13 or 14, there were maybe six of us in the screening room to see Alphaville, and at the end there were four. But Chantal wasn’t used to that kind of thing. She filled theaters. So maybe No Home Movie is too modern. Maybe it’s hard to understand. It was the same for Nouvelle vague as it is for No Home Movie. But the difference is that Straub and Godard—they’ve always seen this kind of behavior. They’re used to it. Now when I read the Cannes reviews of Nouvelle vague back at that time, the story they described was wrong. They said it was the story of two brothers and a rich heiress. The critics told a different story than was the movie’s actual story. When I saw the film a fourth time, I realized that the story was actually of a Machiavellian character who makes people believe that he was killed by this heiress. And then he reappears with another personality pretending to be the first man’s brother. And out of guilt the heiress gives him everything she says to avoid him telling the police about her. At the end, when she nearly drowns in an accident, she realizes who he is. And he saves her. So she says, “But it was you all the time.” And he says yes. And so she says, “But there’s one thing I didn’t understand—why did you save me?” And he says, “Because in the meantime I’ve fallen in love.” Which is very, very moving. But if we don’t understand it, it’s like a math problem. So back at that time I wrote to Godard, because I write him quite frequently or I go to visit him—and I was right, that was the story. But no one at the time understood it. Except maybe the top student [smiles]. Now everyone understands it. It’s a great story, but instead of exposing it in the Scorsese style, Godard told it in his modern way. It’s a moving story for the 21st century. It’s told in the avant-garde way of Godard. The exposition is too hidden, instead of being really comprehensible. But that’s why Godard is in my eyes the greatest modernist. Why he’s above all the rest. Like Picasso—Picasso who in relation to the Louvre or classic painting in general, he came along and he broke everything. So that he could come after, and that’s what Godard did. After only 80 years of cinema, he came along and he broke the Lumière and Edison things that we were doing, and he invented modernism. Darren Hughes: When you talked about seeing Nouvelle vague for the fourth time, you said you came to understand the logic of it, which is an interesting choice of words. All critics and viewers have to wrestle with Godard’s logic, but I’m not sure it’s a word that comes to my mind when watching and writing about your films, which are more about unearthing, in that subconscious sense, the emotions generated by your images. You’ve talked about growing up as the son of an actor, being exposed to art and painting as a young child, but I’m wondering about other sources for your images, beyond dreams. Do you still take direct inspiration from paintings? I’m thinking about the images of feet being held and wrapped and washed, which is a trope in sacred art. Some of your earlier work is almost mythological. PG: The other exercise that I devote myself to, aside from seeing and re-seeing the films of Godard… actually there are two other exercises. One of them is going to the museum. When I was fourteen I lived next to the Louvre, and the Louvre was free once a week. In fact I saw here that on Sundays it’s pay as you wish at the Frick, which I think is a great thing, a democratic thing, to allow poor people to see classic painting. I went to the Louvre every single Sunday. At 25 I counted, and I’d been to the Louvre 147 times. When I shoot, I don’t watch movies—I go to the Louvre. And I look at how they paint things. I don’t look at the dates—I don’t know the history about paintings. I look at the names and I look at the paintings. The other practice that I’ve undertaken, which I started when I was 25, is that I read Freud. Whenever I had a problem, I read one book by Freud. For instance, if I had an addiction, I read a book by Freud to get over it. And I would say, in the Freudian sense, this is the this of the illness, and I would work through it by reading the book. And then I would not be dependent. Or if a woman had left me and I felt terrible, I would read one Freud book. And no lie, I think I’ve read more than half of Freud. And I did this without undergoing psychoanalysis while making films. Now, not long ago, I started to experience really visceral jealousy over a woman—a very serious problem. And so for the first time I decided to go to psychoanalysis. And I found an old psychoanalyst who is a disciple of Lacan. And I had a very short psychoanalysis with him—six months to get rid of the jealousy. I didn’t get rid of my other problems, but I did get rid of the jealousy. And so I wrote to this 92-year-old psychoanalyst, “I think I can get by alone.” And because he’s a very wise man, he wrote me, “If you think you can get by alone, you should leap on the opportunity.” So I stopped the psychoanalysis, and I also stopped reading Freud. So here, for instance, in New York, I’ve seen zero films, but I’ve been to the Whitney, I’ve been to the Frick. I’m really, truly interested in that. So I have classic and modern painting, I have Freud, I have Godard, there’s seeing old films as well. Like recently I discovered some Bergman films that people don’t know very well, from the mid-forties. Like Prison and Music in Darkness. These are all films that I go to see in the Latin Quarter, small movie theaters—kind of the remains of Henri Langlois’s Cinematheque. This is how I make my cinema. It’s something I get from my father. I’m an artist to make a living—I just do it well. I’m not alienated by it, but I’m not a specialist. And that’s why I have a small audience. I like being recognized as a filmmaker, but I don’t need to have a huge audience. It’s much more important to me to fully live my life, and be thoroughly involved with my intimates and loved ones, and my family. Life is more important. I surround myself with art to escape the ambient idiocy. But I’m less of a specialist than, for instance, Leos Carax. Because I prefer life. And I think that’s something that comes from May ’68. Vadim Rizov: I would like to go back to your new film for a little bit. What the couple is united by initially is their work in the editing room. At the end, when she’s the first to discover and understand that the film is based on a falsehood, she sees the footage better than he does. This seems to relate a bit to your practice of having female collaborators come in to help you write the female parts. At the same time they’re working with physical film, and he meets the other woman when he’s helping her carry cans of film. It’s a triangle united by celluloid. PG: Well, even thirty years ago, if you met a woman and you were a director, she would say to you, “Make me a star.” Now, a woman will say, “Make me equal.” So the work has naturally evolved. You see, men court women naturally. Or if they like men, they court men. And by courting I mean in the medieval sense of courtship. So naturally there’s courtship in art, and I want to seduce. In the past, women wanted to be glorified in film. Now it’s different. And that changes the work of artists. Smart women today want to be equals—they won’t be upset if they’re not stars. But if they’re artists, they just want to be having their work looked at as equals, as intelligent beings. So I use that to court women. I want to meet the deepest desires of women today. Now, the other thing is that in cinema today—cinema is young, it’s only 120 years old—most women have spoken men’s words. It’s never been an objective vision of women. So even men who are not misogynists, who love women, who see them as equals—it’s still a problem in cinema that all the words that women were speaking were coming from men. So by associating men and women in writing the films, I get to have a more dialectic type of film. More dialect in regarding the human species. It’s like an inner documentary on men and women. Cinema is not only macho, it’s industrially made by men. So I’ve just tried to move it forward. Godard did the same thing with his second period. Which you could refer to as the Blue Period, if you’re continuing the Picasso parallel. He wrote a lot of those films with Anne-Marie Miéville. There’s one called France/tour/detour/deux/enfants, which he made for television and which I love, which he wrote with Miéville. And I think to write a film with your wife makes it intelligently gendered. The other advantage is that it’s less dangerous to write a film with your wife than to have her be the star—because you’re less likely to have someone steal her away from you. Which brings us back to the beginning of the conversation, when I was talking about Jarmusch. EH: And then you made an entire film about that—about whether or not a director will cast his partner as the lead in a film written about her. DH: Can I ask a very practical question? In the last few films, there’s a consistent rhythm to the sequences, in that there will be a fairly static shot, like of two people sitting on a bed talking, followed by a shot of people walking down the street—there’s visual movement. I’d like to hear you talk about the design of that visual rhythm. What happens in a walking scene that can’t happen in a quiet, static scene? PG: I don’t know. It’s like drawing. Those kinds of operations aren’t analyzed by the artist. I have no theory on my own film. You know, cinema is gestural; this is what it has in common with dance or with painting. You take your camera, and people, and you write something with that, that resembles life. That’s why I shoot in order. I shoot the first shot the first day, and the last shot the last day, and I edit during the shoot. I have an editor who edits as we go. So that in the evening, I see the last shot, and the next morning I continue from there. I continue from the previous image—not from what’s in the script. Once all the rehearsals are done, in a sense I could throw the story out, the actors would keep the dialogue, and we would start over. So if you would ask me, why do you track backwards when this guy is walking down the street feeling desperate because his wife cheated on him?—it’s like painting. If I have a blue line, I look at it and I put a green line underneath it. I don’t tell myself I’m going to make a blue and green painting. I don’t theorize about that. It’s a blue line, then the green. There’s no intention before the gesture. I do it. I observe. Then I do the next thing. I observe. I do the next thing. I observe the continuity. But there’s no outside definition of what I want to get. There’s no film in my head. There’s no imaginary film I want to make. I organize reality, in the present, on the set. What I’m trying to explain to you is that it’s really gestural. I’m not reconstructing something that was constructed in my mind. I’m constructing something for the first time in reality. DH: That’s another advantage of your technique of having extensive rehearsals and then shooting a scene only once. I can’t imagine any other filmmaker that looks at the previous shot the night before, who can feel the rhythm of the movie and then make the decision the next morning based on that. EH: Right, if you were considering from among 15 takes, it would be harder to determine, tonally, what should be next. PG: [in English] Ah, yes, yes. Because it’s no more clear if you make a lot of takes. That’s true. Everything is a method that you’ve invented. Every artist invents his own method. And his own method is his style. That’s why it’s so difficult to teach directing. Except for the fact of directing actors. But teaching the mise-en-scene? It’s very difficult. Because every artist is particular, every director is particular. EH: But you were encouraged by Godard, your mentor, to come up with your own method. Which is quite different from other directors coming up. PG: It’s also a question of misunderstanding. I thought that Godard wrote nothing at all, and that his films were entirely improvised. So through all my first films, basically from Marie for Memory to Les hautes solitudes, which is where I started to do something like preparatory work, I thought that Godard came to the set with hands in his pockets, nothing written down. In fact, I later learned that he had a notebook in which there was a story, in a few lines. He didn’t have a script but he did have a notebook, and he would give the dialogue to the actors. But since I didn’t know that, and since one doesn’t know in general how other artists work, I started doing things in my own way. So for my six first films I did absolutely no writing, I just went straight to the camera. And then at the end of the shooting I would write just a few lines of dialogue and I would give it to the actors and say, “This is for tomorrow.” This thing of misunderstanding is specific to art. It wouldn’t work with science. Art can tolerate approximation and misunderstanding. You can still have a work of art that’s based on a misunderstanding. That’s expressive.